The US has closed its consulate general in Jerusalem, which covered Palestinian affairs, folding its operations into the new embassy to Israel in the city. The state department said the merger was made for efficiency reasons and did not signal a change of policy on Jerusalem, the West Bank, or Gaza. 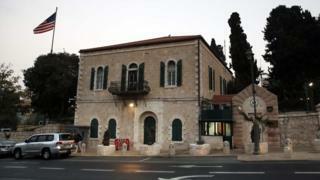 The consulate had acted as a de facto embassy to the Palestinians. A Palestinian official called the move "the last nail in the coffin of the US administration's role in peacemaking". President Donald Trump is preparing to unveil a long-awaited Middle East peace plan, but Palestinian officials have refused to engage with his envoys since his controversial decision in December 2017 to recognise Jerusalem as Israel's capital and relocate the US embassy to the city from Tel Aviv. Israel regards Jerusalem as its "eternal and undivided" capital, while the Palestinians claim East Jerusalem - occupied by Israel in the 1967 Middle East war - as the capital of a future Palestinian state. US Secretary of State Mike Pompeo announced in October that the consulate in Jerusalem would merge with the US embassy to form a single diplomatic mission. On Monday, state department deputy spokesman Robert Palladino said the merger had taken effect and promised "complete continuity of US diplomatic activity and consular services". Mr Palladino said the decision was "driven by our global efforts to increase the efficiency and effectiveness of our diplomatic engagements and operations" and did not signal a change in policy. "As the president has stated, the United States continues to take no position on final status issues, including boundaries or borders. The specific boundaries of Israeli sovereignty in Jerusalem are subject to final status negotiations between the parties," he added. "The administration remains fully committed to efforts to achieve a lasting and comprehensive peace that offers a brighter future to Israel and the Palestinians." The BBC's Tom Bateman in Jerusalem says the merger marks a significant downgrade of the US diplomatic mission to the Palestinians. The Palestinian-facing presence in Jerusalem will now be known as the "Palestinian Affairs Unit", which will report to Washington via the US embassy to Israel, our correspondent adds. Hanan Ashrawi, a member of the Executive Committee of the Palestine Liberation Organisation (PLO), said: "The Trump administration is intent on leaving no room for doubt about its hostility towards the Palestinian people and their inalienable rights, as well as its abject disregard for international law and its obligations under the law." "Merging the US consulate in Jerusalem with the US embassy to Israel, which is now illegally located in Jerusalem, is not an administrative decision. It is an act of political assault on Palestinian rights and identity and a negation of the consulate's historic status and function, dating back nearly 200 years." Ms Ashrawi said such actions "preclude any possible positive role for the current US administration in seeking peace and stability" in the region. The status of Jerusalem goes to the heart of the Israeli-Palestinian conflict. 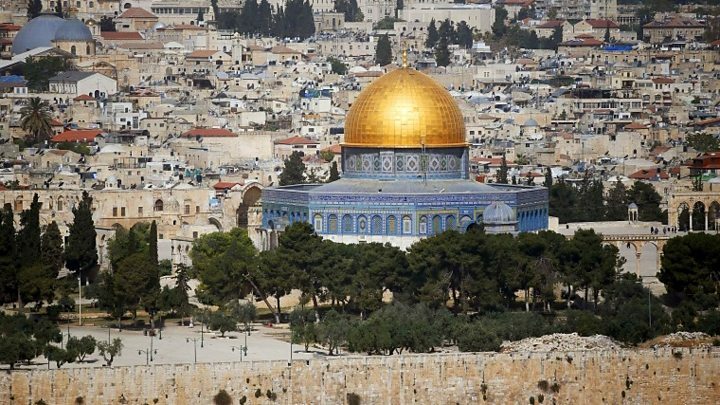 Israeli sovereignty over Jerusalem has never been recognised internationally, and according to the 1993 Israel-Palestinian peace accords, the final status of Jerusalem is meant to be discussed in the latter stages of peace talks. Since 1967, Israel has built a dozen settlements, home to about 200,000 Jews, in East Jerusalem. These are considered illegal under international law, though Israel disputes this. In December 2017, UN member states voted decisively at the General Assembly in favour of a resolution effectively declaring US recognition of Jerusalem as Israel's capital to be "null and void" and demanding it be cancelled.